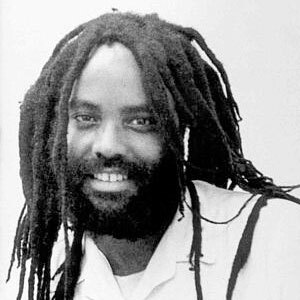 Political prisoner Mumia Abu-Jamal turned 60 on April 24. Although he remains imprisoned for a crime he did not commit, the fact that Mumia is still alive is a testament to the determination of the millions of people around the world who joined the movement to free him. Mumia, from Philadelphia, became a revolutionary at a young age. At just 15, he helped found the Philadelphia chapter of the Black Panther Party, and led a struggle to change the name of his high school from Benjamin Franklin to Malcolm X. Later, he became a prominent journalist who shed light on the Philadelphia Police Department’s brutal repression of the MOVE organization. The notoriously racist and corrupt Philadelphia cops were determined to silence this important leader. In 1981, while Mumia was working his night job as a taxi driver, he noticed that his younger brother was being harassed by the police. He got out of his cab to investigate the situation, and in the ensuing confusion both Mumia and the police officer were shot. The officer, Daniel Faulkner, died, and Mumia was framed for his murder. The story promoted by the police is contradicted by a mountain of forensic evidence that proves that Mumia could not have shot Faulkner. It has also been proven that police officers manipulated the crime scene to implicate Mumia. His trial was presided over by well-known racist Judge Albert Sabo, who did everything in his power to deny Mumia a fair hearing. Mumia was sentenced to death after this mockery of justice, but a powerful movement rose around the world to save his life. His death warrant was signed twice by the governor of Pennsylvania, but each time the people’s struggle made them back down. His sentence was finally commuted to life imprisonment in 2011 after the government was forced to acknowledge that the jury was given flawed instructions. However, Mumia remains on, as he calls it, “slow death row.” It is more important now than ever to fight for the freedom of this world-renowned political prisoner. On April 26, a Celebration of Life was being held at the historic Church of the Advocate in North Philadelphia. Click here to read a report from this event. The Celebration of Life was an important step to build the newly-launched Campaign to Bring Mumia Home, and finally overturn this long-standing injustice.